One thing I love about the Tattooed Poets Project is that, every year, there are a few poets who have tattoos that blow me away with the powerful inspiration behind their work. "My ancestor, Ezekiel Beverly, lived in Fairfax County, Virginia in the aftermath of the Civil War. He was part of that special & profound generation of African Americans who were born enslaved, survived the War, & went on to live the rest of their lives in freedom. In 1907, at the age of around 70, Ezekiel signed a legal paper with this rudimentary signature. It is the earliest example of writing on the African American side of my family. According to federal census records, Ezekiel was a farmer who did not know how to read or write. This would have been a typical circumstance for men of his generation (and earlier), as black literacy was forbidden by the Virginia Slave Codes. Ezekiel wasn't supposed to know how to sign his name, but, late in life, he learned anyway. I found the signature last year in some genealogical records. I'm currently working on a new book of poems in contemplation of Virginia and its complex racial legacies. 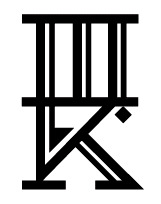 I decided to have the signature tattooed on my left arm so that I could spend the rest of my life studying it. 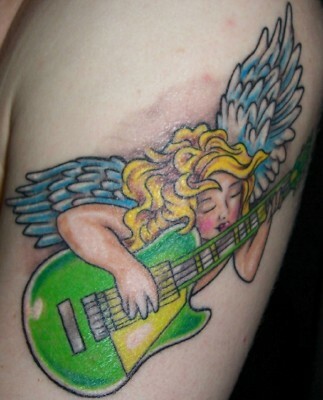 The signature was tattooed by Mike Kohler (@mike_kohler) at Read Street Tattoo Parlour in Baltimore, MD. 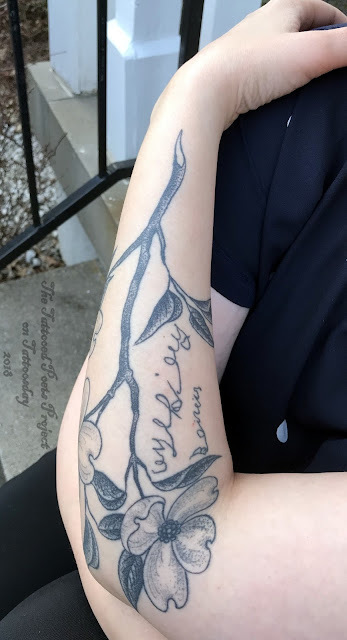 A few months later, I asked Karl Otto (instagram: @unflappablekarl) of Five Star Tattoo (@fivestartattoo) in Louisville, KY to frame the signature with a flowering dogwood branch to represent the state flower of Virginia. Karl did all of the shading for the dogwood design with individual dotwork. The first box is for all the good white men. The ones who freed their slaves on Christmas. It’s always Christmas in the first box. The day Delpha shall go out. The day Viney shall go out. These good white men only desire the guardian care of those under age. After that, they shall go out, just as Winney shall go out at the age of twenty-one entirely free from me or mine or any other person whatsoever. Delpha, Viney, & Winney shall go out on Christmas Day. The first box slides open to show their certificates. The good white men of this county believing that all men are by nature equally free have left many of these. One certificate is for Viney. One for Winney. One for Delpha. But these good white men can only free the slaves they truly own. One man observes the above mentioned negroes are disputed in their titles to me, namely Delpha, Viney, & Winney. He doesn’t say more about the dispute. He doesn’t say what happens on Christmas Day. This good white man has said all three should go out precisely on Christmas Day, but now it is different. It is very different now, even though Christmas has come. The good white man writes I only free as to my right & title given under my hand. The box slides open to show certificate after certificate. It’s Christmas. It’s only the first box. Kiki Petrosino is the author of three books of poetry: Witch Wife (2017), Hymn for the Black Terrific (2013) and Fort Red Border (2009), all from Sarabande Books. She holds graduate degrees from the University of Chicago and the University of Iowa Writer's Workshop. Her poems and essays have appeared in Poetry, The Best American Poetry, The Nation, The New York Times, FENCE, Gulf Coast, Jubilat, Tin House and on-line at Ploughshares. She is founder and co-editor of Transom, an independent on-line poetry journal. She is an Associate Professor of English at the University of Louisville, where she directs the Creative Writing Program. She also teaches part-time in the brief-residency MFA program at Spalding University. Her awards include a residency at the Hermitage Artist Retreat and research fellowships from the University of Louisville's Commonwealth Center for the Humanities and Society and the Virginia Foundation for the Humanities. 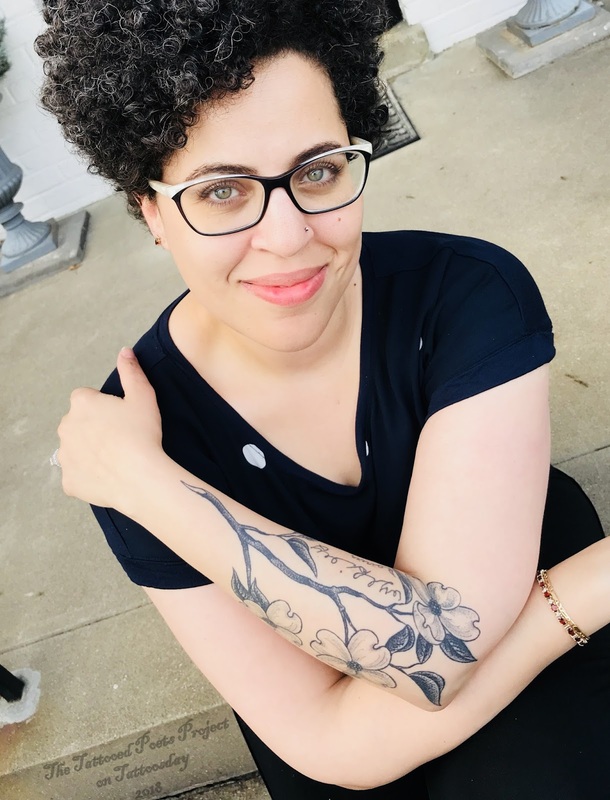 A profound and hearty thank you to Kiki Petrosino for sharing her tattoo and poem with us here on the Tattooed Poets Project on Tattoosday!